Always treat your body as well as your treat your face with Argan Republic Body Care. We formulate all our natural body care products with the purest oils and plant essences to make you feel pampered and energized. From detoxifying salt soaks to replenishing body polish and nourishing body oils, you can adopt a body routine for the softest skin ever. The Rose Gold Face & Body Polish is named for the exquisite blend of Rose Otto and Moroccan Argan oil "liquid gold". 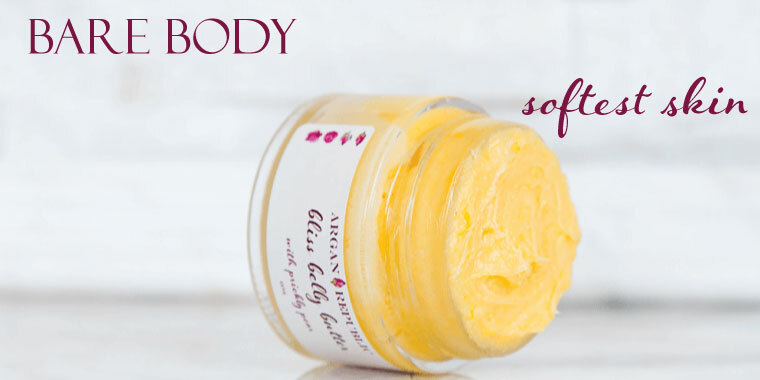 This total body treatment features organic sugar with precious and valuable Rose Otto which is regenerative, healing, firming and wrinkle-fighting! Also featured in this cherished blend is Rosehip seed oil which is high in essential fatty acids and vitamin E, along with it's ability to treat deep wrinkles and UV damage. This fragrant floral rose polish will gently remove impurities while re-hydrating skin and fighting signs of aging and also blemishes! It's an absolute dream!